Royal Crown Derby has a distinguished history of creating bespoke commissions. This tradition continues today, supported by Royal Crown Derby’s designers. Providing on-site design consultations which can incorporate inspiration from our extensive archives dating back to 1750, we can work to quick approval of designs which are developed to complement the local environment and completely bespoke. Our bespoke service is offered to luxury interior design consultants specialising in jets, yachts, and private residences for high-net-worth individuals. The completely unique and personal service is ideal for those who prefer an equally unique and personal result, from concept through to conclusion. 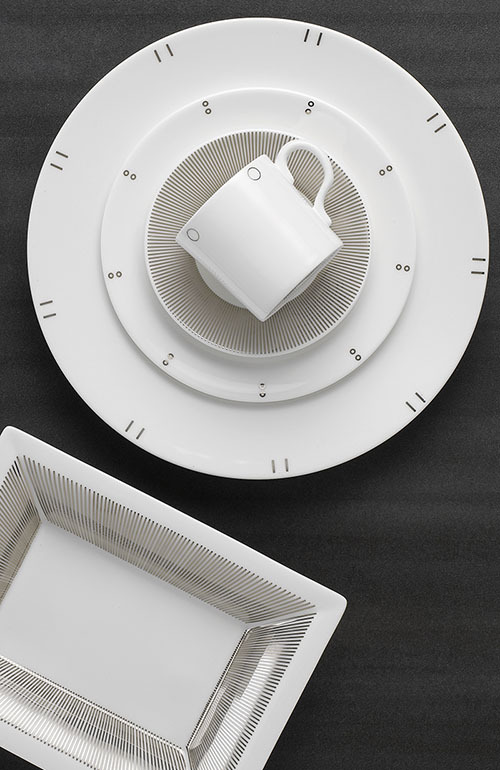 In addition, we offer a special commission service whereby given reference material such as a family crest, monogram, business or club logo or personal photograph can be transformed onto an existing pattern to make unique tableware or giftware. If you would like to get in touch, to discuss a bespoke project then please visit our contact page.